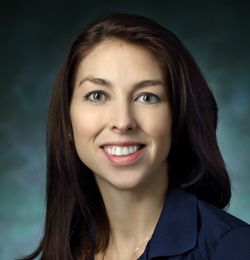 Sarah Wilson has worked at Washington Orthopedics and Sports Medicine since 2007, and specializes in the evaluation and treatment of injuries and disorders of the upper extremity. Sarah earned her Masters in Occupational Therapy in 2001 from Misericordia University, and is currently working on her PhD at Nova Southeastern University. Sarah became a Certified Lymphedema Therapist (CLT) in 2005, and a Certified Hand Therapist (CHT) in 2008. The designation Certified Hand Therapist is awarded by the Hand Therapy Certification Commission only after passing the hand certification exam. There are currently only 5,823 Certified Hand Therapists worldwide. Sarah also currently serves on a board for the American Hand Therapy Association. Sarah has a passion for education and research, and currently teaches a continuing education course on splinting for Pinnacle Professional Education. Sarah also recently taught a continuing education course on the use of occupation in hand therapy at Nova Southeastern University. Sarah’s research interest is upper extremity rehabilitation, and is serving as the primary investigator on a Distal Radius Fracture Study. Sarah believes that occupational therapy for the upper extremity should be science-driven and evidence-based. In her practice, Sarah focuses on learning the participation needs of the client -what he or she wants to do in daily life and from which he or she derives fulfillment and meaning- and structures her treatment plan to emphasize the performance of these desired activities. Sarah uses manual therapy, joint mobilizations, splinting, modalities, exercise, therapeutic activities, patient education, and neuro re-education to meet the specific needs of each patient. She also uses outcome measures and discusses patient progress at each visit to ensure that all treatment is effective. Sarah is currently an adjunct professor at Trinity Washington University. The Impact of Shoulder Pathology in Individuals with a Distal Radius Fractures, 2017.